If you are familiar with DISC personality profiles, you can already guess that he’s a “C.” I, however, am a “D.” Together, we are a combination of one unit who must have each cell in a spreadsheet completed and one who only wants to know what’s the bottom line. Profiling is a great tool: Instead of getting frustrated with your spouse (or your clients), you can adjust your communication to reach them where they are. For example, if you interrupt a “C” in midsentence, he will tense up and immediately start the sentence again, because Point A concludes only with Point B. At any rate, every year on the day after Thanksgiving, we head to the mountains to find our Christmas tree. 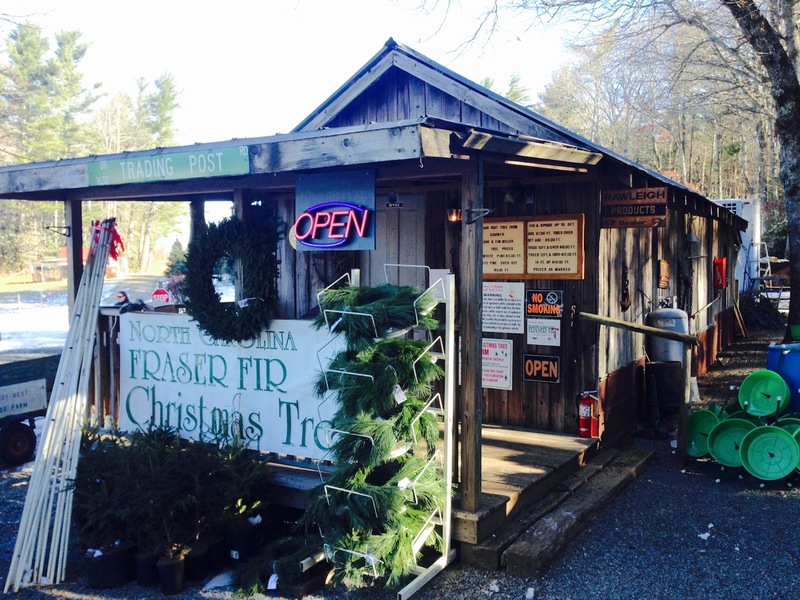 There is a reason that North Carolina Fraser firs are coveted around the country — they have plenty of branches, just the right needle length and, of course, that heavenly smell! This year, it was a balmy 22 degrees at the tree farm, and with a 15 mile-per-hour wind, that created a 9-degree temperature index. Now, I know we are Southern and not accustomed to cold — but, y’all, that is cold. Now, I love a bare spot. It is the best place to showcase a special ornament while hanging it on the thickest part of the branch for security. A crooked trunk? Don’t care. If it’s too full, it blocks the door. Oh, and by the way, our 8- and 10-year-olds are professional whiners when they get cold. Really, I would have been good with any one of the first 10 trees we saw. The kids agreed with me. (Heck, the first one was probably the best one on the farm.) But, nope, we haven’t yet seen enough trees to make sure we have the right one … the right one to cut down and put in the house for one month before it goes out to compost. But I digress. The look on his face after locating “The Tree” must be akin to what cavemen looked like when they brought home the big kill. Ultimate male satisfaction. Luckily for our marriage, I have learned to refrain from the commentary about this tree looking like every other tree. Once it’s home and covered in lights, tinsel and our precious ornaments, though, it is ours. And then, it’s truly perfect. Does any of this remind you of a house hunt? Both halves of a couple (or, if single, a buyer invariably has a parent or bestie with input to consider) are going to be wired differently when it comes time to make this decision. Successfully working through different personalities and decision-making styles is critical to making the homebuyers happy. It isn’t about you or your personality as much as it’s about theirs. We are therapists sometimes when we do our real estate jobs well — because we have to help buyers understand each other as they work through the process of buying their largest financial instrument. You might have one client with an “any house will do” attitude, and another with a “house must be perfect” perspective. But at the end of the day, it is not so much about the house as it is the home. Remind yourself and your buyers that each house becomes transformed by the lights and ornaments and people, and when it is theirs, it may just be perfect. Leigh Brown is a broker/owner at Re/Max Executive Realty. She has sold liquor, stocks and chainsaws, but for the past 14 years, she has been dedicated to building relationships with her clients in real estate, both current and past.